Study on the functioning of judicial systems in the EU Member States. Facts and figures from the CEPEJ questionnaires 2010-2012-2013-2014-2015. Study prepared under the authority of the Working Group on the evaluation of judicial systems (CEPEJ-GT-EVAL) for the attention of the European Commission (Directorate General Justice). The European Commission has requested the European Commission for the Efficiency of Justice (CEPEJ) of the Council of Europe, relying on its own methodology for evaluating the functioning of the judicial systems of Council of Europe Member States to conduct a study aimed at analysing the situation of the judicial systems in the EU Member States. This study is based on the processing and analysis of data and comments provided by Member States through three evaluation cycles (2010, 2012 and 2014) and two specific questionnaire (2013, 2015). 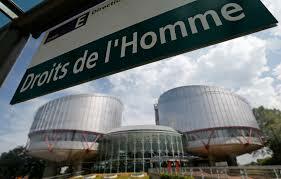 It will constitute one of the sources used by the European Commission for the « EU justice Scoreboard ».